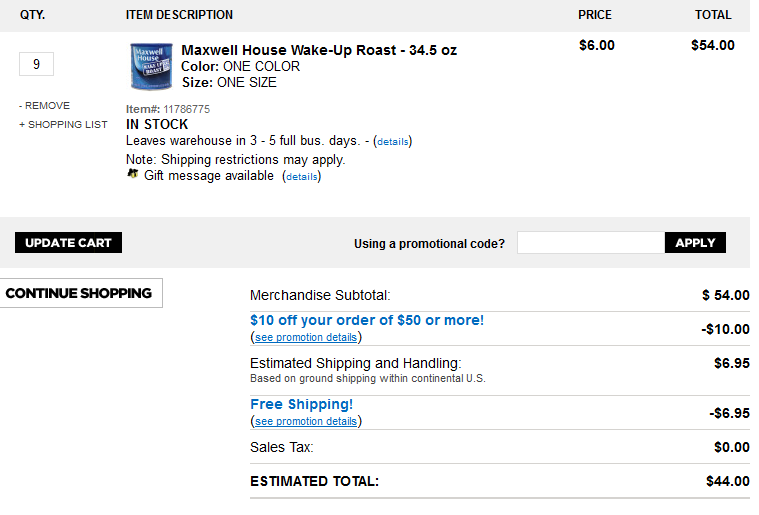 Beth Ann & Jessica's Helpful Savings: Dollar General: $10 off $50 online = $4.89 Maxwell House Coffee, the big 34.5 oz can! 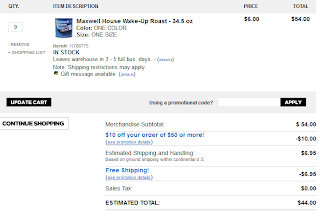 Dollar General: $10 off $50 online = $4.89 Maxwell House Coffee, the big 34.5 oz can! 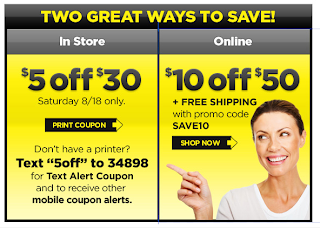 Dollar General: Save $5 on $30 pre-tax this Saturday, 8/18/12 only with printable coupon found here. Or, save $10 on $50 with FREE shipping for online purchases with promo code "SAVE10" at checkout. 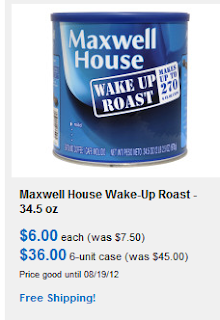 Get 34.5 oz Maxwell House coffee for $6 online, original price was $7.50! 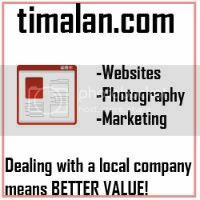 So, when you buy 9 and get $10 off, you'll be paying $44 for 9 shipped to your house or $4.89 a piece!! WOAH.